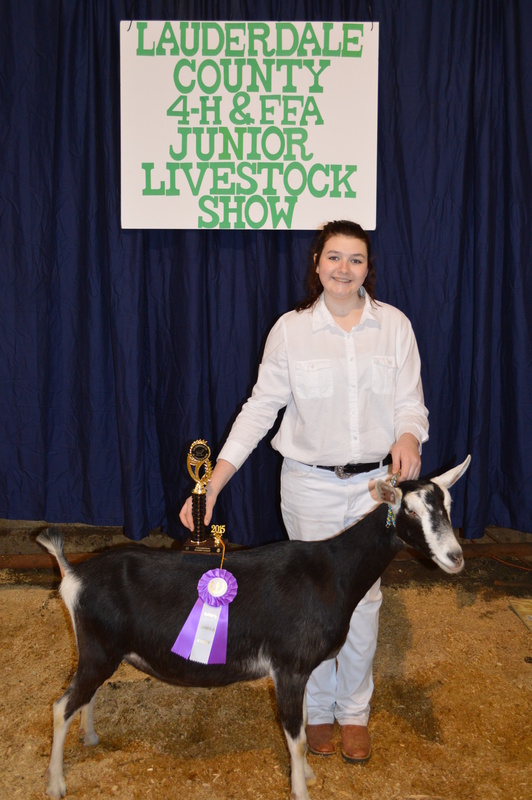 Well the first goat show of the 4H season is in the books! The day started out great with decent weather, hovering around 50 degrees and a few sprinkles, we bundled up, loaded up the goats, over the hills and through the woods and around a detour, we finally made it to the Livestock Arena. Last year we were at this same show, showing pigs (read the about us to find out more about this). During that show the number of animals and people were more than double than that of this year. Not sure why that was today but it still happened and that was good. We had a small amount of competition today as the numbers were lower, however the numbers were in our favor as we had more goats than anyone else. In our state, we can only bring 6 does to competition, so we did bring six! So onto the show. Showmanship was up first. There were three different age classes and Jessica was in the 14 and up class. She came in first! So proud of her. They gave out a feed scoop, rubber bowl, and water bucket as a prize! Cool. The judge said she won because she took her time in the ring and made sure her doe did what she asked. As this was a fairly small show we did not have separate breed classes, we only had junior and senior doe classes based on ages. Juniors were 8-12 months. Senior classes were 12mo to 4 years and 4 and up. All of our Juniors ended up in the same class, so we had to nab three other 4H exhibitors to help show them. These three teens did a great job showing our goats. 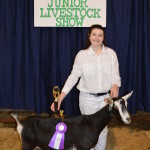 They were meat goat exhibitors and had never shown dairy before but were eager to help. I send out a hearty thanks to you three. Then our two seniors were in their own classes. So now you know the layout of the show, here are the results. We could not be more pleased! So WOW, we took first place in all classes our does were entered and the top 4 in the junior doe class. There were other good goats there, ours just happen to be in favour today. Hopefully we’ll continue to be in good favour going into the next two 4H shows. It was great to be out there and see Jessica and all the goats do their thing. The show-out may have been a bit low, but the awards were well earned. Good luck in the next round!